No matter which job type you receive (JustGrab, GrabCar, GrabShare or GrabFamily), here are some quick tips to help you maximise your earnings while staying on the right side of the law! Even if you do not have a mifold, you can pick-up passengers with their own child safety seats – it is legal! 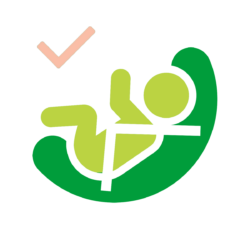 Do note that baby harnesses are not considered an appropriate child restraint device by the Land Transport Authority (LTA). We’ve also prepared a flow chart that’ll help you make a decision on whether to pick up your passengers.